The public is invited to a Construction Open House for the Highway 119 resurfacing project that begins this spring. It will be held Wednesday, May 1, 2019, 4:30 - 7:00 pm, Appleton Civic Center, 323 West Schlieman Ave., Appleton. Construction information will also be available for the Highway 40 Milan Bridge project. For more information on the project, visit the project webpage. A BIG thank you to everyone that participated in the Glencoe Transportation Study. Study partners are pleased to share the results of the first round of community feedback. For more information on what we heard and next steps visit the web-page or read the full summary. 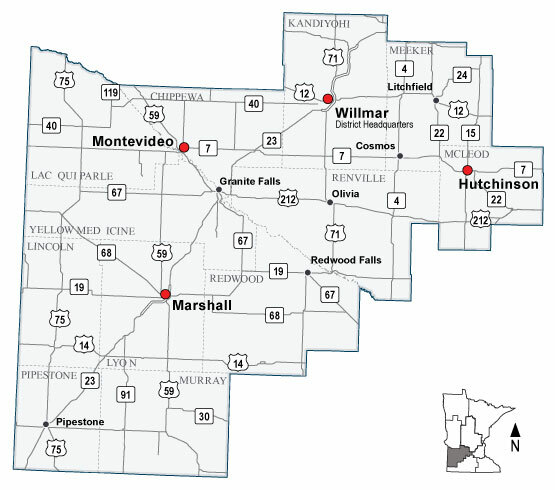 District 8 has announced the construction schedule for the completion of the Hwy 23 gaps. The North gap (Paynesville to Richmond) will be constructed first, with construction starting in 2022. Construction on the South gap (New London to Paynesville) will start in 2024. For more information on the project, visit the project web-page.